The silent aisles of a conventional office have given way to a stirring revolution. Shared workspaces or co-working spaces, a concept popular in the West, has taken root in India in sync with the rapid growth of startups and alternative work modes in the past 3-4 years. A shared workplace is a fully equipped office in a relaxed setting, as opposed to a structured, traditional workspace. The place can be hired by multiple entities—individuals, small teams or a large company— for a flexible period. One can hire a single seat for an hour or take up fixed number of seats for 2-3 years, while sharing the place with other companies or individuals in an open floor plan. What began as an option for startups now encompasses entrepreneurs, freelancers, frequent travellers, work-from-home professionals, SMEs and corporates. “While 60% of our customers are SMEs, about 20% are startups and freelancers, and the rest are corporates,” says Amit Ramani, CEO, Awfis Space Solution, which has 21 centres and 7,500 seats across seven metros, and plans to expand to 28 centres and 10,000 seats in nine cities soon. 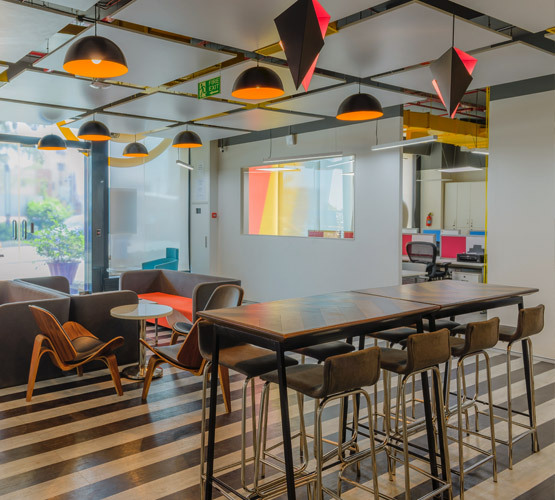 Co-working offices are being set up by small, local players and bigger companies with pan-India network, besides global players like WeWork and Spaces, who have recently set foot in India. Some of the more popular players in major metros include Awfis, Innov8, Regus, BHive Workspace, 91 Springboard, Bombay Connect, among others. Does such an office offer cost benefit and significant advantages for you to take it up or should you set up an exclusive office or continue with the existing lease? A basic shared workspace provides infrastructure (flexible and fixed seats), tech facilities (Internet, Wi-Fi, phone, printer, copier, scanner, fax machine), housekeeping staff, eating area and common front desk or reception area. The fee for smaller set-ups ranges from Rs 4,000-6,000 per seat per month, while the medium-level players charge Rs 6,500-9,000, and premium spaces can cost Rs 9,500-15,000 per seat for a month. The charges differ for flexi and fixed seats, and you can get more facilities for an additional fee. These add-on, paid services can include lockers, meeting rooms, 3-4 seater cabins, video conferencing, meetings in third-party locations, access to mentors and capital, as well as legal, accounting and HR firms, organising events, promotions and conferences, discounted parking spaces, gaming zones, and partnership discounts, among others. The shared office allows one to focus on the business without worrying about securing funds for setting up an office or the nittygritty of managing it. 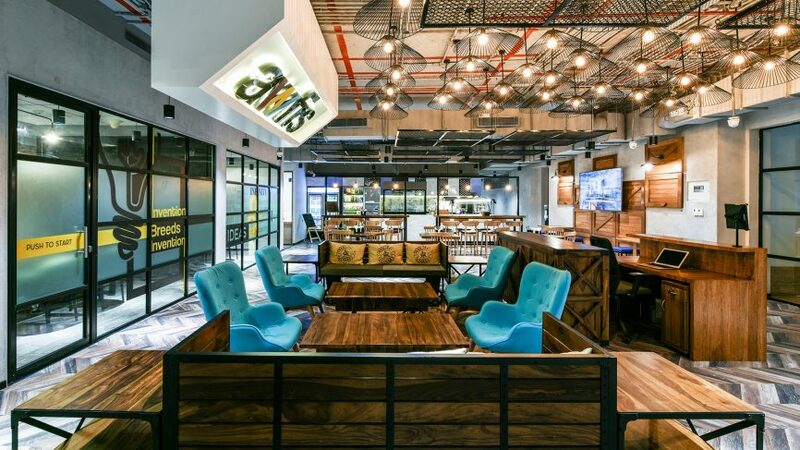 “It offers a high degree of convenience because we can focus on building revenue without bothering about the administrative work of running an office,” says Rajas Kelkar, 43, who has a ninemember startup and has hired seven seats at Awfis in Mumbai. “More than the cost, it’s the convenience that is the pull factor,” says Gurgaon-based Samir Mathai, who has recently launched a startup. “You can impress the clients with a good business address, don’t have to focus on office peripherals, and if you are with a bigger player and need to travel across the country, you can have an office in every metro,” he adds. Agrees Prasad Walawalkar, Senior V-P, HR & Legal, in a research organisation, and part of the 65-member team at a workspace in Mumbai. “We can have client meetings in different cities like Delhi or Bengaluru because of the offices there,” he says. However, this option may be provided only by some players who have a countrywide network and offices in metros or tier 2 cities. A big benefit is the opportunity to interact with like-minded people from different organisations in the same workspace ..
A more critical factor for startups is whether these workspaces translate to monetary gains. You can save 25-30% if you choose a small- or mid-level space provider and don’t avail of too many extra services. 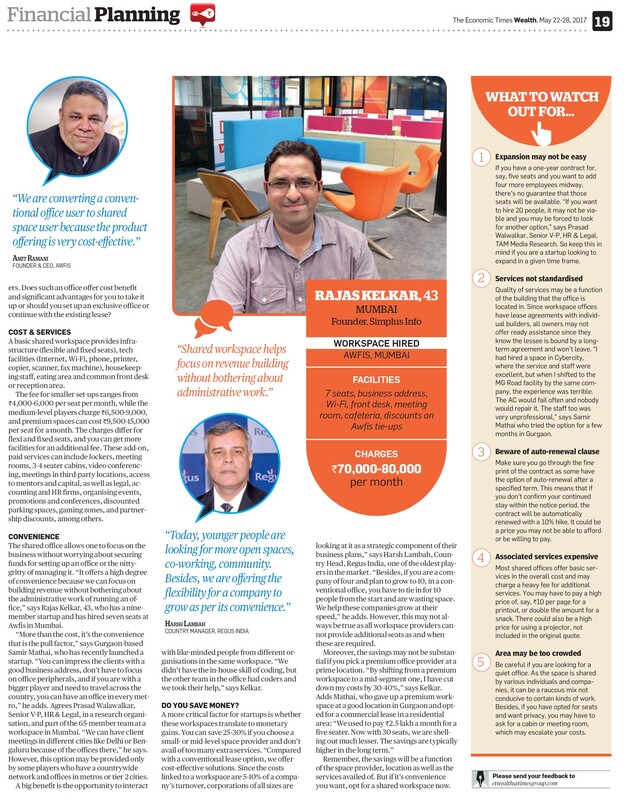 “Compared with a conventional lease option, we offer cost-effective solutions.Since the costs linked to a workspace are 5-10% of a company’s turnover, corporations of all sizes are looking at it as a strategic component of their business plans,” says Harsh Lambah, Country Head, Regus India, one of the oldest players in the market. “Besides, if you are a company of four and plan to grow to 10, in a conventional office, you have to tie in for 10 people from the start and are wasting space. We help these companies grow at their speed,” he adds. However, this may not always be true as all workspace providers cannot provide additional seats as and when these are required. Moreover, the savings may not be substantial if you pick a premium office provider at a prime location. “By shifting from a premium workspace to a mid-segment one, I have cut down my costs by 30-40%,” says Kelkar. Adds Mathai, who gave up a premium workspace at a good location in Gurgaon and opted for a commercial lease in a residential area: “We used to pay Rs 2.5 lakh a month for a five seater. Now with 30 seats, we are shelling out much lesser. The savings are typically higher in the long term.” Remember, the savings will be a function of the space provider, location as well as the services availed of. But if it’s convenience you want, opt for a shared workspace now.